The Caring Babies describe themselves as "experimental, electronic" but these absurdly cute, cuddly songs ain't exactly Stockhausen. Tip-off #1: the band name, #2: the teddy bears on the cover. Their new release is 4 songs in under 4 minutes of irresistible silliness and willful innocence. Then there's the unexpected noise blast at the end, which had me asking, "What did I just listen to?" 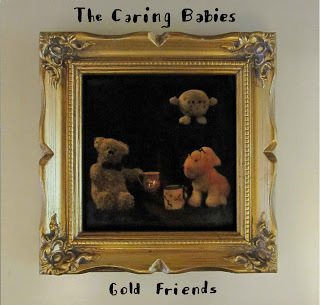 Listen: The Caring Babies "Gold Friends"
Download: the song "Gold Friends." Because friendship is special.